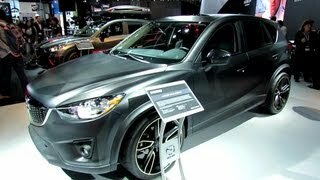 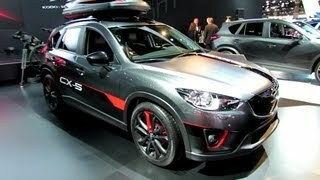 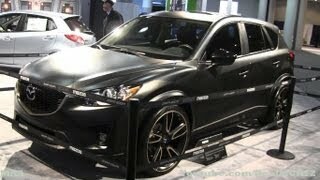 Mazda has unveiled the 2012 Mazda CX-5 Urban Concept at the 2012 SEMA Motor Show in Las Vegas. 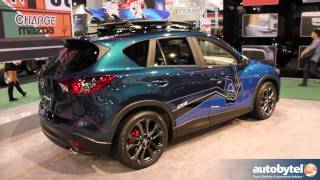 With a Mazda Design-developed custom paint process, the dark surface of the CX-5 Urban features multi-dimensional shadows with each triangular-like design shaped to reflect each bend and twist of the vehicle's sheet metal. 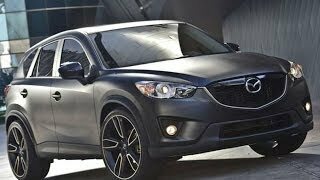 Utilizing the KODO "Soul of Motion" design language of the production model, the Mazda Design team translated this initial blueprint into seemingly flat, black surfaces that evoke depth at just the slight hint of light.